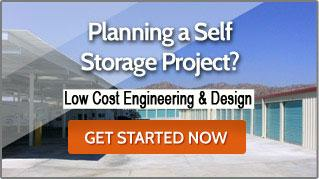 Mako Steel is the Leader in Self Storage Design, Engineering and Construction. We are pleased to offer valuable, FREE resources to help you with your self storage building project. Each week we publish up to the minute information about the industry, as well as helpful articles and guidelines. Ensure your business success with access to resources that are critical in planning, permitting and budgeting for new self storage projects. Take advantage of self storage business growth opportunities and creative ways to add income to your current business with FREE guidelines and helpful resources. EXPAND YOUR SINGLE STORY SELF STORAGE BUSINESS. When you can't build out, build up! Find out how you can add rental capacity without tearing down your existing buildings or disrupting your current tenants. SEE OUR RECENT TRADESHOW & SEMINAR SCHEDULE. Find out where you can talk to the experts. Mako Steel exhibits at tradeshows throughout the country and is a keynote speaker at many seminars and roundtable discussions.